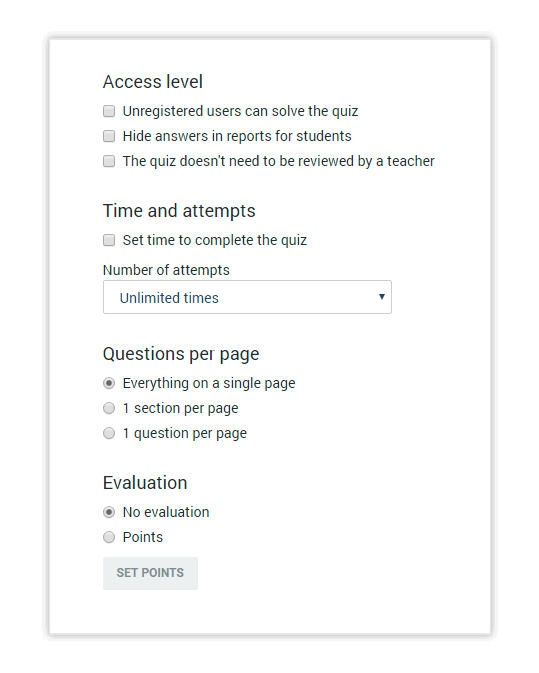 Students only have access to the Results menu, where they can see their quiz results and take quizzes assigned to them, respectively. Log in with the Organisation account in your subdomain. 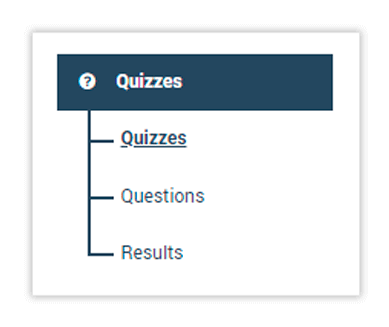 In order to create a quiz from scratch, you will need to access the Quizzes option from the left side menu. To do this, first log in to your sub-domain as an Organisation. Then, under Quizzes , you will see all the quizzes you have already created and the option to edit them. 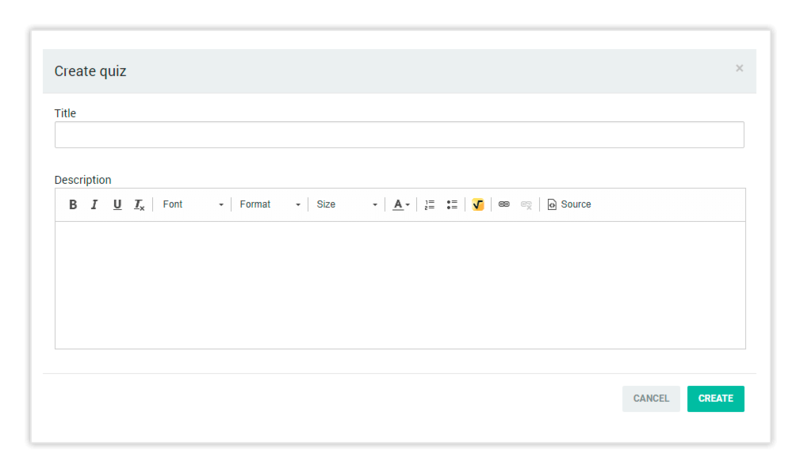 The Results menu lets you view the quizzes that have already been taken by your students. From the Quizzes tab, please click on the New Quiz button in order to begin the quiz creation process. 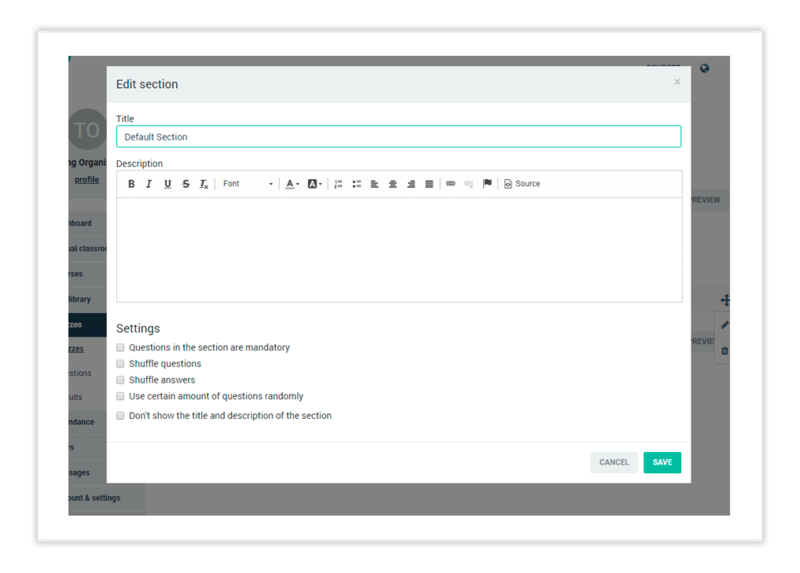 For students, the Results menu gives them access to the results of the quizzes that they have taken. To create a new quiz, click on the + New Quiz button in the Quizzes submenu. Here you will need to fill in a name for your quiz. NOTE: You may also add a description of and instructions for the quiz; however, both are optional. After you have finished filling in the necessary information, click on Create Quiz. NOTE: You should put a tick next to the quiz is active box in the Settings tab. This will ensure that the quiz is visible and that you can add it to your course. Note: Each quiz has a Default Section attached to it and by default every added to the quiz question is included in the Default Section. Under the Results tab you will see all of the quizzes taken by your students along with the corresponding grading. Each Section in a Quiz can be edited. To edit its settings click on the three dots icon and then Edit.